Bladensburg Road NE is ripe for development as property values in neighboring areas rise and developers/businesses seek new locations. In May TNA held a meeting to discuss some of the plans along the Bladensburg Road corridor with H Street Main Street and consultant Derrick Woody (see link above for access to the presentation). There is also a significant amount of vacant property that the city has been working to address by fining owners and/or placing blighted property in higher tax brackets to spur putting land and buildings back into productive use. As well there is a lack of affordable housing as prices and rents rise across the city. 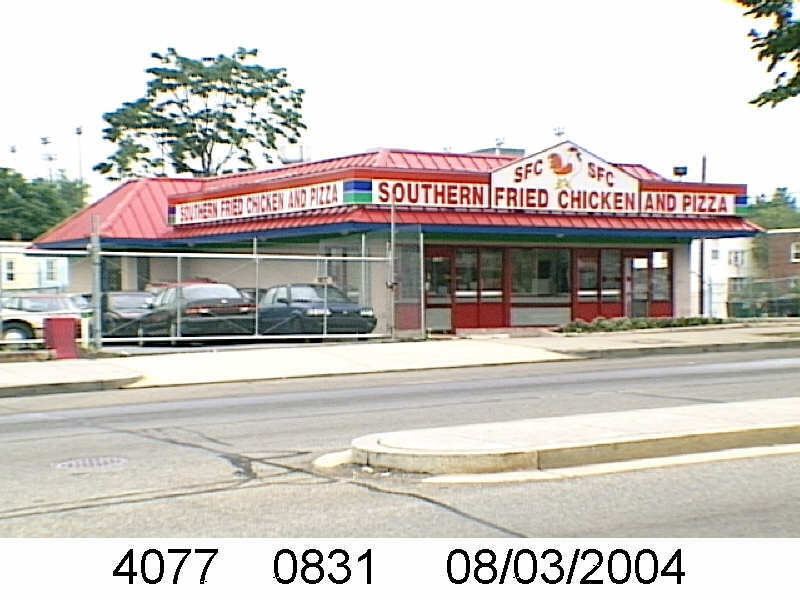 The property at 1164 Bladensburg Road NE was formerly a Southern Fried Chicken and Pizza and then Nationals Pizza and retail grocery/car sales before being abandoned. In January 2015 the owners of the lot were cited for issues related to compliance/housing/vacant property. 1164 Bladensburg Rd photo dated 2004 from Property Information Verification System. ANC 5D02 Commissioner Keisha Shropshire posted the following notice about a meeting to be held on October 7th from 7:00 pm to 8:00 pm at W.S. Jenks Hardware (910 Bladensburg Road NE). Hopefully you can attend and provide community input on the future of this long-vacant site. “We need your input regarding a future development project! Neighborhood Development Company and its affiliates are planning to develop approximately 75 affordable housing units at 1164 Bladensburg Road, NE on the corner of Meigs Place and Bladensburg Road NE. The building is currently boarded up and serves little purpose to the surrounding community. This newly proposed development will help spur further development along Bladensburg Road NE which will help bring more retail and more general business to this part of Trinidad DC. Please join us for a community discussion on October 7, 2015 at W.S. Jenks, 910 Bladensburg Road NE from 7-8 pm. 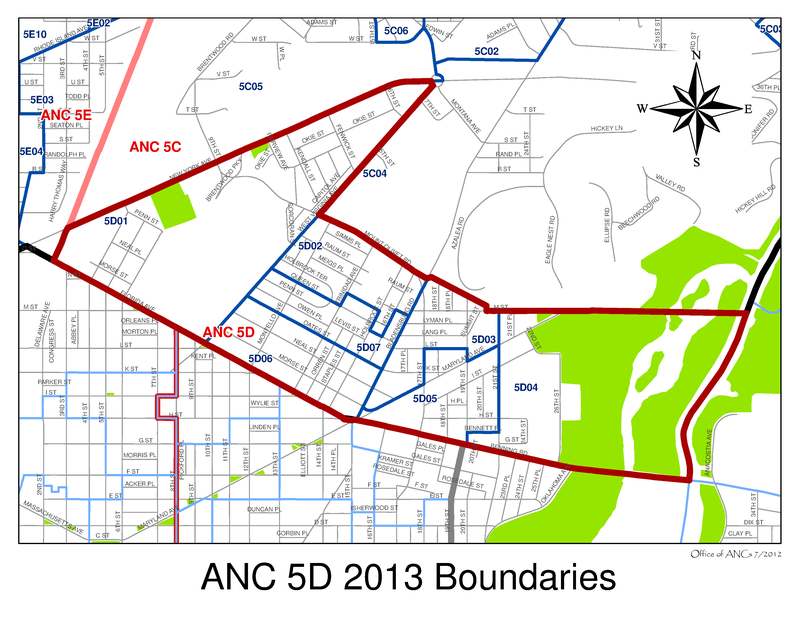 5D02 ANC Commissioner Keisha Shropshire at (404) 245-6772 or 5D02@anc.dc.gov. 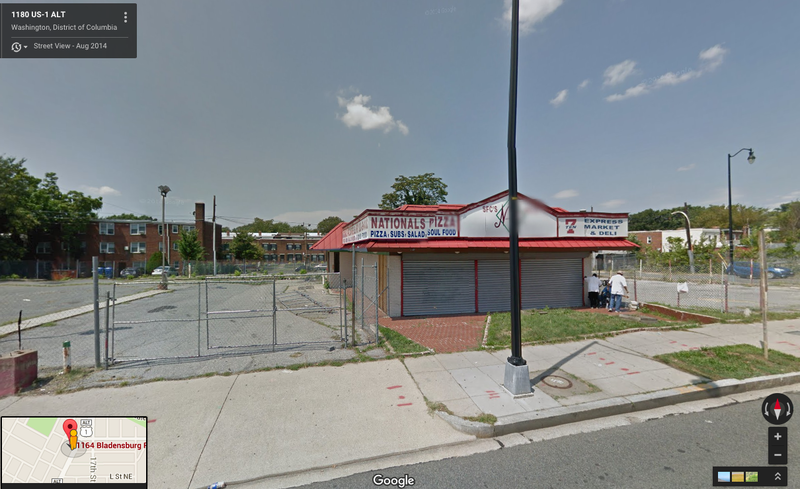 Photo of 1164 Bladensburg Rd NE dated August 2014 from Google Maps Street View. Meet the New Fifth District Commander, William Fitzgerald. Come hear what MPD is doing to address the crime in the Trinidad neighborhood. The Office of the Tenants’ Advocate will outline the new Bill of Rights for DC Tenants which includes leases, security deposit, disclosure of information, rent increases, building conditions, discrimination, right to organize, retaliation and eviction. Saturday, May 23, 2015, 1:00–3:00 p.m.
Community constituents will share their perspectives regarding Kovak’s Liquor, current community challenges, and discuss strategies for improving the community. Please come prepared to share your ideas and recommendations.